Dubai: A Dubai-based doctor who initiated a free medical camp for poor patients in the UAE was given a top civilian award on Pakistan National Day. Dr Ziaul Hasan, an Endocrinologist in Dubai, was awarded the Sitara-e-Imtiaz (Star of Excellence) by President of Pakistan Arif Alvi at the annual official awards ceremony in Islamabad. The Sitara-e-Imtiaz, which is the third-highest civilian award in Pakistan, recognises individuals who have made meritorious contributions to the national interests of Pakistan, world peace, cultural or other significant public endeavours. I would like to thank my doctor colleagues and Pakistan Association in Dubai (PAD) [for making] it a success. The President also conferred top civil and military honours upon others, including 18 foreigners, for their contributions in different fields for excellence in various fields of activities. Talking to Gulf News after receiving the award, Dr Hassan said he never expected that his initiative to help poor patients would win him the huge honour. “I would like to thank my doctor colleagues and Pakistan Association in Dubai (PAD) [for making] it a success,” said Dr Hassan, who is the founder Chairman of Pakistan Medical Wing at PAD. He organised the first free medical camp in 2009 at PAD premises and it was very well received. 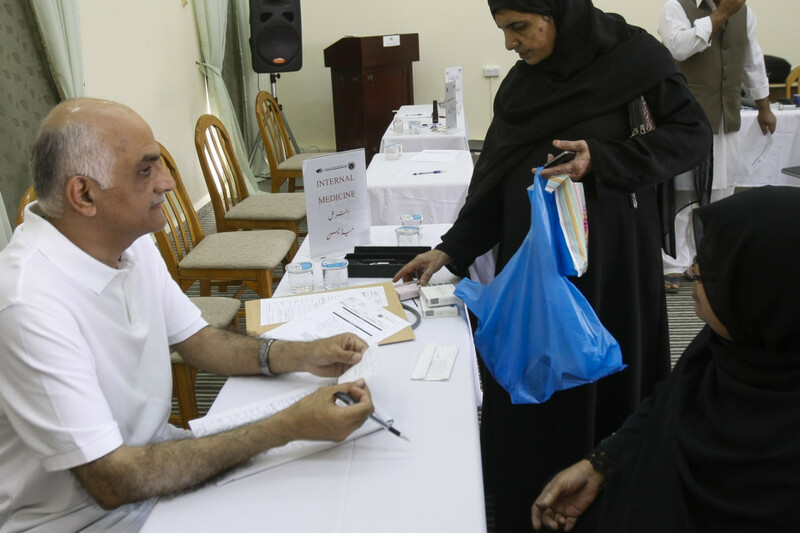 So far the group has conducted more than 95 free medical camps, treating more than 25,000 patients in the UAE. Specialist doctors along with volunteers conduct the camp that provides free treatment to people from all nationalities. The camp is held on the last Friday of every month. His initiative became so popular that PAD with the help of the community is now building a not-for-profit Pakistan Medical Centre to provide permanent health care facilities to people who cannot afford to pay. The Dh12-million medical centre is set to open in August this year. Dr Hassan moved to Dubai in 2007 from Manchester where he lived for 19 years. 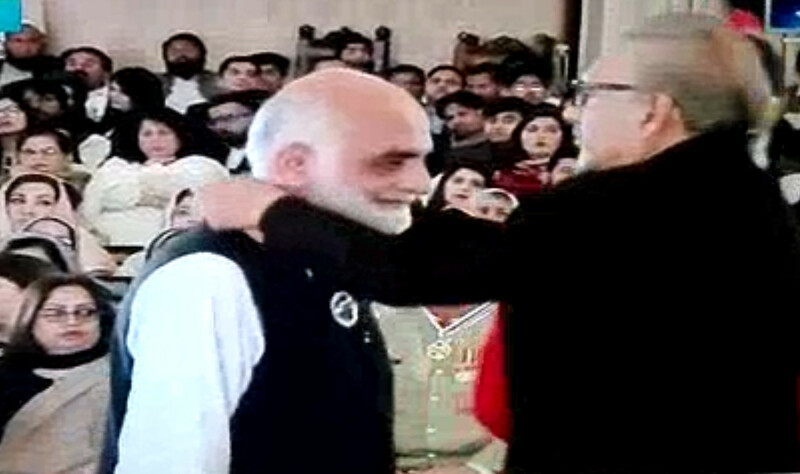 He is also in charge of Parwarish, an orphanage in Swat, which is also a project by PAD. Some 320 orphans children including 90 girls are provided education with full-board thanks to the support of the association. Most of the students at this school are children of those who were killed in the fight against terrorism. With nearly 35 years of medical experience in Pakistan, the UK and the UAE, Dr Hassan has always passionately served the community. After completing his M.B.B.S in 1984 from Peshawar, he moved to the UK to further his career in the field of medicine. Gradually, he became a specialist and a consultant in the endocrinology division of human body. Dr Hassan has always had the passion to serve the underprivileged and marginalised segment of the community. He always looked for opportunities where he could extend his services voluntarily. In June of 2011 Dr Hassan was elected as President of PAD and he remained in office for over six years, until October 2017. Under his dynamic leadership, the Pakistan Auditorium and the sports complex were built and inaugurated in 2015. Dr Hasan is also President of Diabetes Association KP and spearheading AIMS (Abaseen Institute of Medical Sciences) a not-for-profit community-based Diabetes Hospital in Peshawar with rural outreach. The partnership care model is to try finding an option of treatment for the growing burden of diabetes and blood pressure in rural Pakistan. His love for serving the disadvantaged and under privileged of the community know no bounds. “I travel every month to Pakistan to hold this camp for one week in the rural areas,” he said. An extremely humble man, Dr Hassan remains available and responsive whenever he is contacted for the well-being of the Pakistanis. He lives in Dubai and Peshawar. Dr Faisal Ikram, President of PAD, thanked the Pakistan government for recognising the services of PAD and Dr Hassan. “We are proud of his services for the community,” he added.